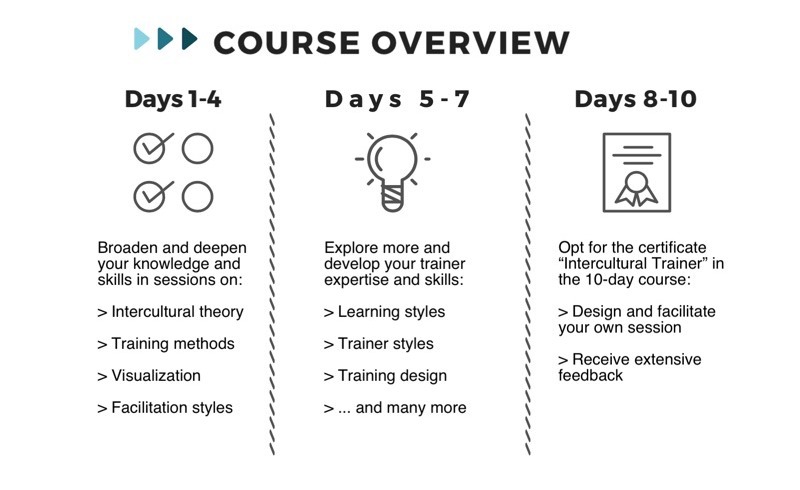 Course hours: The Intercultural Trainer Academy takes place Monday-Friday (with the weekend off) from 09:00-18.00. On Friday, we end around 15:00. During these days, you design and facilitate your own training session and receive extensive feedback from the group and the instructors. Please note: The Intercultural Trainer Academy has a summer and a winter edition (you can check the upcoming dates here). In the summer edition, we blend theory and practice sessions for the whole group. 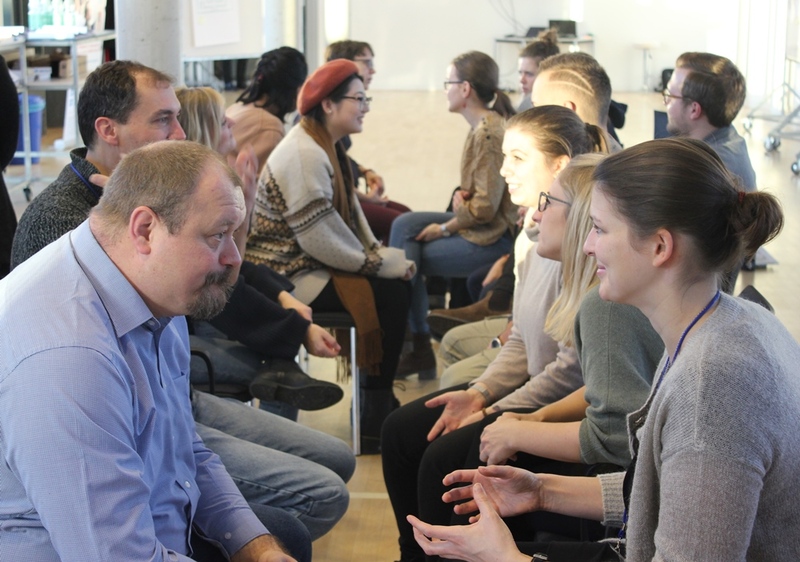 In the winter edition, our Intercultural Trainer Academy is part of the Winter School at Jacobs University Bremen and therefore attracts more students. In the winter edition, we offer a choice between two groups for the first four days, one focusing more on theory (for those with prior training experience) and one focusing more on training basics (for students with a strong academic background in the intercultural field). To learn more about the overall program structure, please refer to the program page.